This has been a fun experience to share my knowledge with many artists. 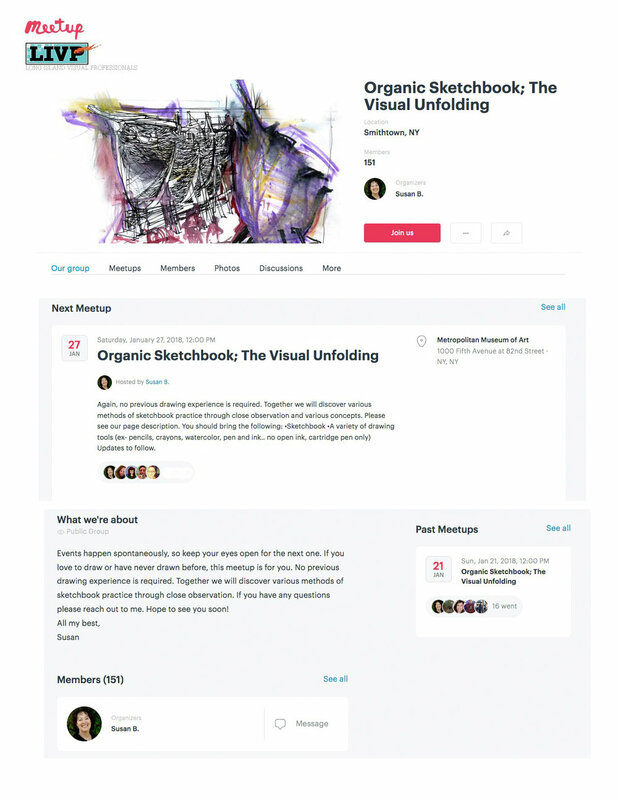 Here is our first meetup of Organic Sketchbook; The Visual Unfolding at Smithtown Historical Society. Artists exploring the fun outdoor area and intensely studying while drawing at meetup group. Meetup artists inside Brush Barn at Smithtown Historical Society drawing the "English Country Dance" performed by Long Island Traditional Music Association. Click the picture above for more information on how to join our meetup!